If you’re searching for qualified Lancaster auto accident lawyers, contact the law offices of Cody & Pfursich. We have been representing clients in all types of automobile violation and accident cases, including traffic violations, motorcycle and pedestrian accidents, and personal injury protection for over 30 years. We have successfully litigated many million-dollar and multi-million dollar settlements for personal injury victims. With our many years of combined experience, chances are good that we’ve successfully handled cases like yours. The stress of an automobile accident is difficult enough. Your day is ruined, you’re facing the expense of auto repairs, and you may even have to battle with your insurance company to compensate you fairly. But additional litigation and possibly being found at fault for the accident is even worse. You will have to take pictures of the accident, make court appearances, and hope that additional expenses and fines aren’t added to the significant issues that you are already facing. As experienced Lancaster auto accident lawyers, Cody & Pfursich understands the need for legal representation should a traffic accident cause a court battle. Our attorneys are familiar with local vehicle codes and with the rules and procedures of police departments and district judges. We also have litigated many cases of personal injury protection, in some cases winning substantial amounts of money for victims. Whether you are injured or defending yourself against blame in an auto accident, we have the experience and expertise to represent you. Don’t face the possibility of points, fines and possible suspensions, or not receiving what is rightfully yours for your pain and suffering due to an auto accident. 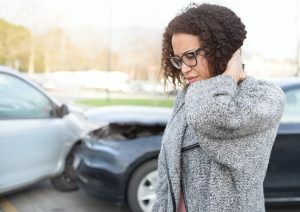 Contact the capable and available Lancaster auto accident lawyers at Cody & Pfursich today for a free consultation and let us help you with expert legal assistance through this stressful time.